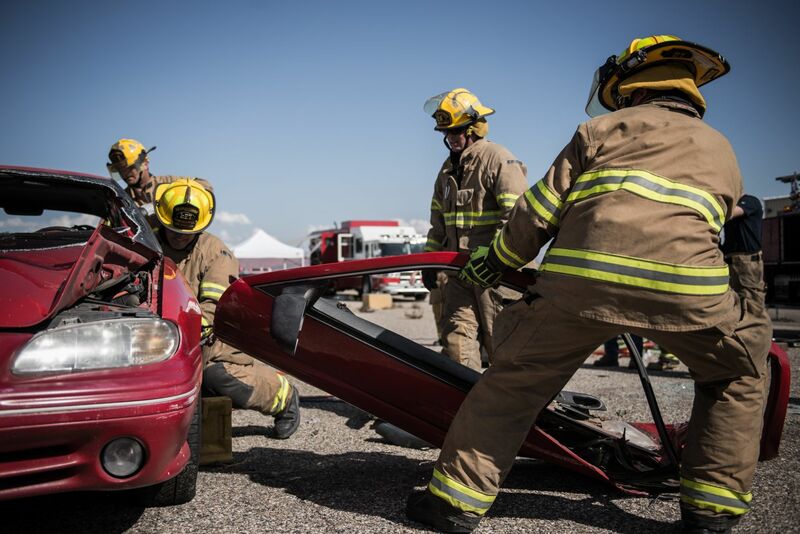 The City of St. George Fire Department is made up of forty-two full-time staff, nine part-time staff, and seventy reserve staff. 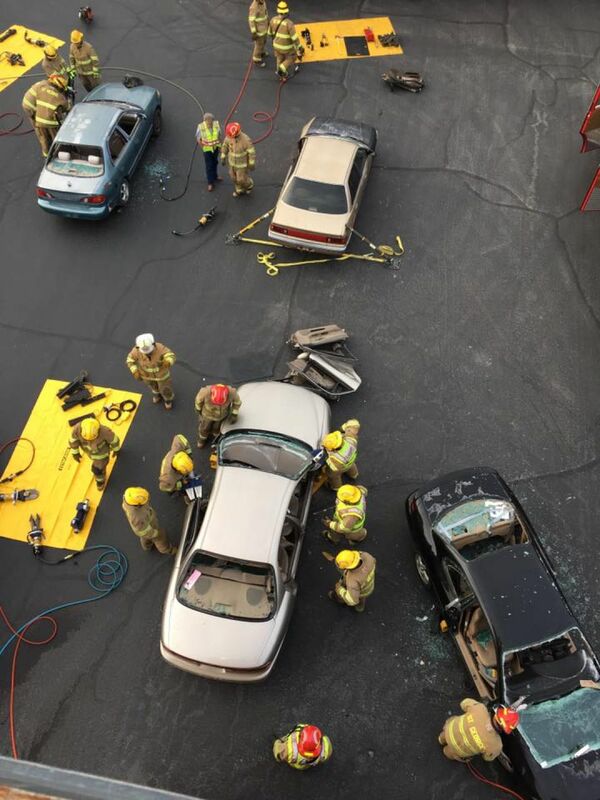 Full-time Firefighters, Captains, and Battalion Chiefs work rotating twenty-four hour shifts. Reserve Firefighters are assigned to the station nearest their home and are required to carry pagers, allowing them to respond to calls as needed. Reserve Firefighters are also on a rotating schedule, covering Stations #1, #7, and #8 to provide for a four person crew at night. The Fire Chief, Deputy Chief, and Administrative Assistant work the day shift, with the Chief Officers on call after hours. 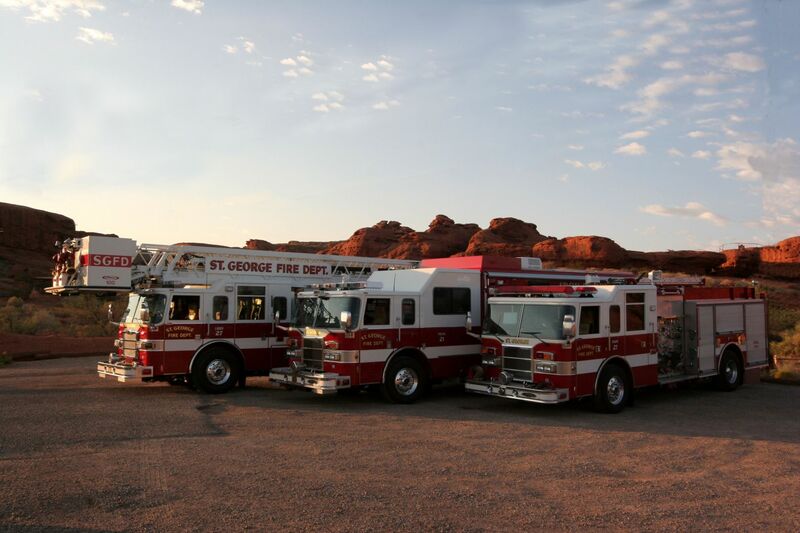 The City of St. George Fire Department covers approximately seventy-five square miles and serves over 80,000 residents. 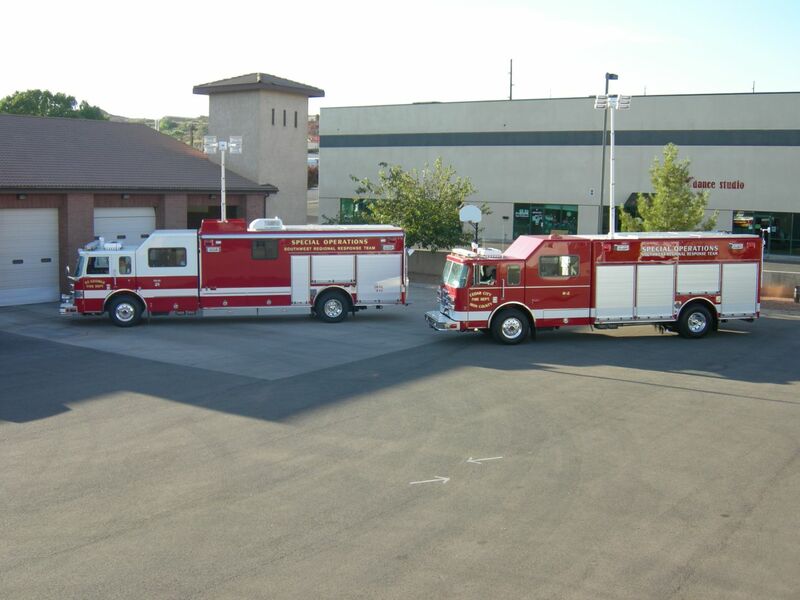 The department includes seven stations, located geographically throughout the City of St. George, which respond to fires, EMS calls, hazmat incidents, technical rescues, vehicle extractions, and other calls for assistance as needed within the city boundaries. 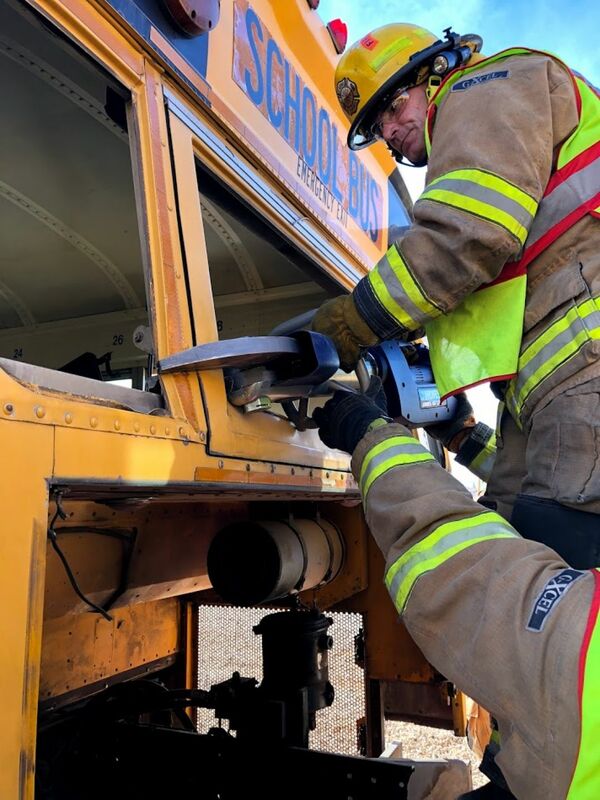 In addition, the department serves as backup on large incidents within the county. The department also performs inspections for compliance with fire codes, and provides advanced EMT services for the city. 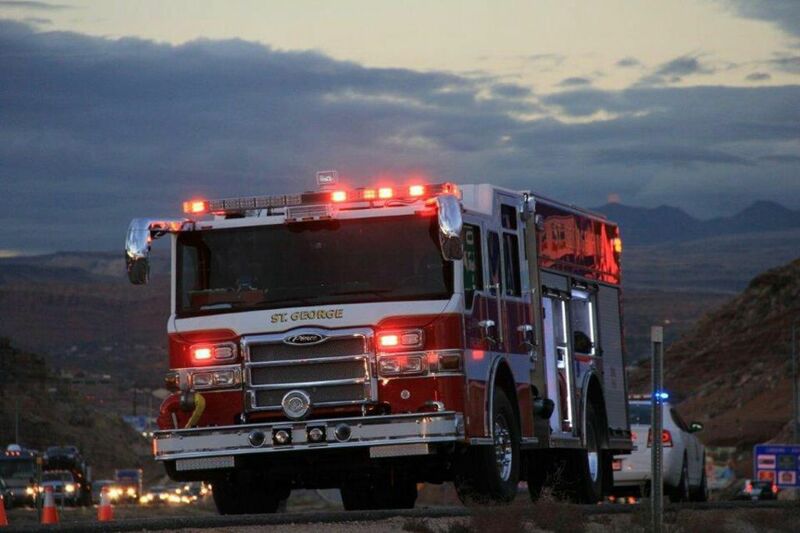 The mission of the St. George Fire Department is to Protect and Preserve life, property, and the environment from fire and disaster, whether it be natural or man-made. 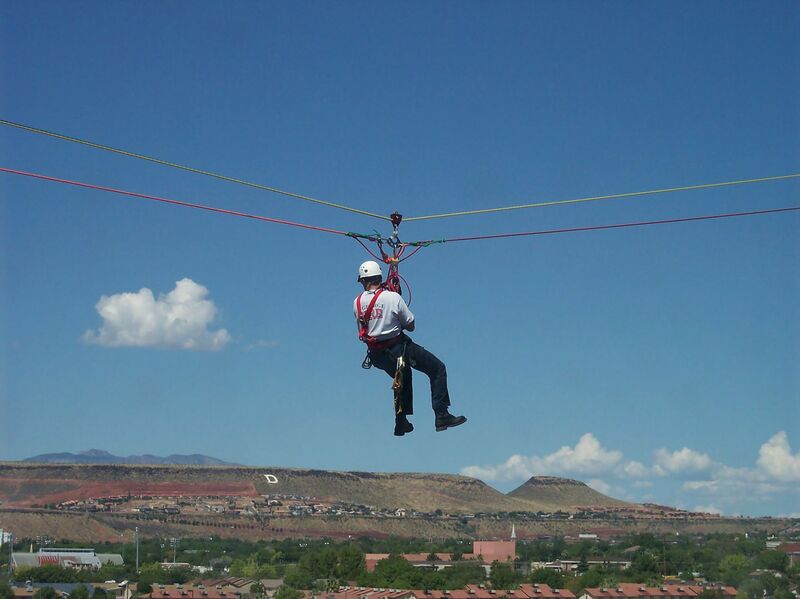 We accomplish this through aggressive training, fire prevention and community programs, with a positive attitude towards safety, customer service, and community relations. The St. George Fire Department began in 1936. The twenty-three members that made up the Chief, Captains, and crews were all volunteers. The first fire engine in St. George was a 1936 Studebaker, which the Department still owns and houses at Station #2, which is the first fire station the city built. The truck is no longer in service unless absolutely necessary, but you may have seen it at special occasions, such as parades. 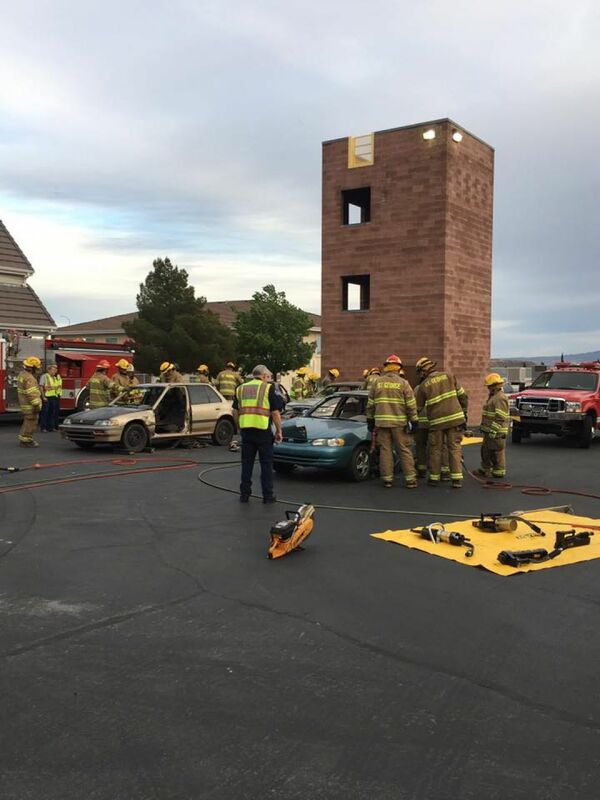 For nearly fifty years, the dedicated volunteer firefighters were able to meet the needs of the City of St. George. It wasn't until 1983 that the first full-time Chief was hired. By 1992, the area had grown large enough to require a full-time staff of firefighters. 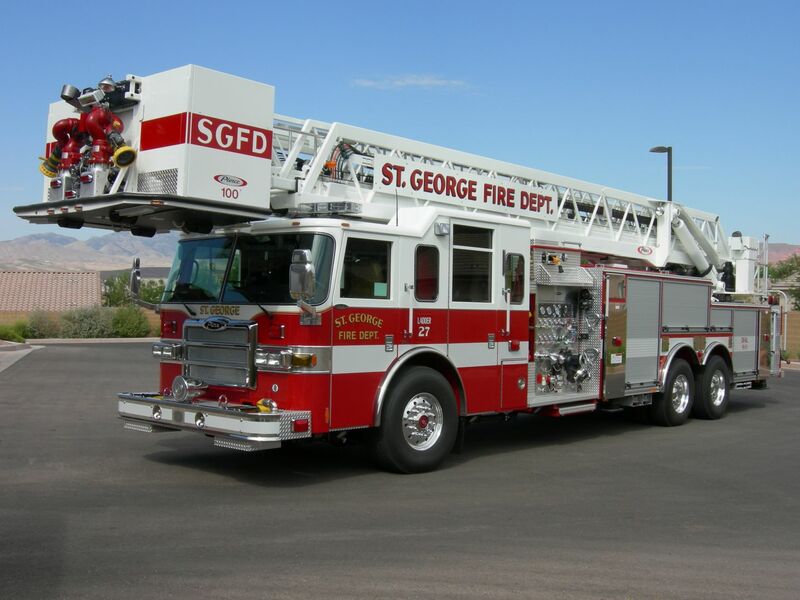 The St. George Fire Department is now set to begin construction on its ninth fire station within the city limits.